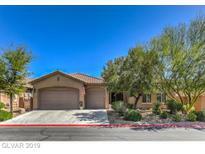 Below you can view all the homes for sale in the Club Aliante subdivision located in North Las Vegas Nevada. 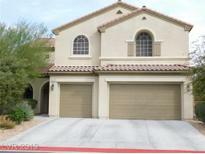 Listings in Club Aliante are updated daily from data we receive from the Las Vegas multiple listing service. To learn more about any of these homes or to receive custom notifications when a new property is listed for sale in Club Aliante, give us a call at 702-323-5963. Walk to tennis & gym/pool great location in community. MLS#2087532. O48 Realty. Club offers golf course, pool, tennis, basketball courts, fitness room and guard-gated security. MLS#2082177. Keller Williams Realty Las Vegas. 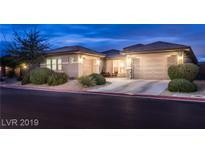 Large Island Kitchen W/ Stainless Steel Ge Profile Appliances, Cooktop, Double Oven & Built In Microwave* Spacious Master Bedroom & Bath W/ Large Closet* Rear Door Opens To Covered Patio W/ Low Maintenance Rear Landscape* MLS#2078491. Key Realty Southwest LLC. *2 Story Home In Guard Gated Community W/ Access To Pool, Gym, Park & More*open Floor Plan W/ Vaulted Clngs & Fans*shutters Throughout*tile Flrs*cozy Fireplace*sunny Ktchn W/ Ss Appliances, Breakfast Bar & Backsplash*lrg Mstr Suite W/ French Doors & Sitting Room*soaking Bath, Glass Shwr & Dbl Sinks In Mstr Bathroom W/ Lrg Walk-in Closet*2nd Mstr Is A Plus*jack & Jill Bathroom*cvrd Patio With Fan, Pavers & Low Maintenance Landscaping*3 Car Garage* MLS#2073552. Keller Williams Market Place. The House Features 5 Beds, 3 3/4 Baths, 3 Car Garage & Almost 3800 Sqft Of Living Area; Kitchen W/ Granite Counter Tops & Stainless Steel Appliances; Family Room W/ Cozy Gas Fireplace; Living Dining Combo; Large Master Suite W/ Large Secondary Bedrooms; Great Inground Pool. MLS#2072081. Realty ONE Group, Inc. This is a jewel! Don't miss out! MLS#2070537. Realty ONE Group, Inc. This desirable Amberly model features open floor plan,gourmet kitchen with granite finishes,maple cabinets and stainless appliances,,cozy fireplace, located on premium oversized lot with beautiful desert landscaping, covered patio and wide open views of the golf course .Enjoy great amenities that include clubhouse, tennis, basketball,pool,playground just minutes away from your front door ! Must see ! MLS#2061944. Platinum R.E. Professionals. Sep Family Room W/Gas Fireplace & Ceiling Fan, Formal Living Room W/Built In Shelves, Huge Master Suite, Surround Sound Speakers, Covered Patio W/Ceiling Fan, Professionally Landscaped & More. Move In Ready! MLS#2046270. BHHS Nevada Properties. Many upgrades and move in ready. MLS#2045272. Signature Real Estate Group.